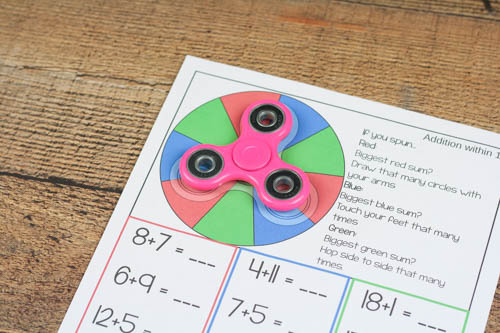 Is everyone sick of Fidget Spinners at this point? Aside from the kids, that is? I have to admit, I kind of like them. Well my kids fell into the fidget spinner trap so now we own 4. Yes, 4! They were inexpensive at Target so…yeah. Anyway, I am big into minimalism right now so my main goal was to give the fidget spinners a bigger purpose for us. 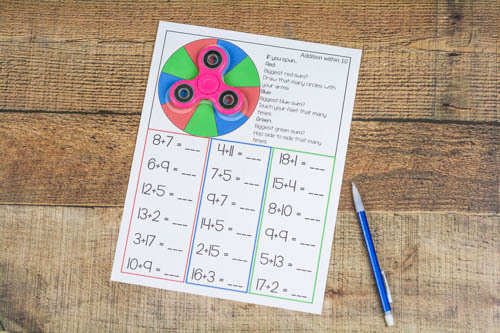 I saw an amazing idea from Your Modern Family that made fidget spinner worksheets. Sweet! 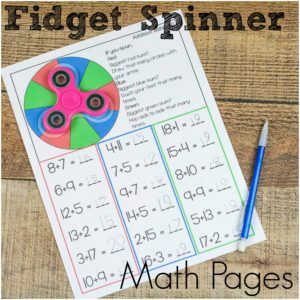 Ready for the Fidget Spinner Math Pages? Skip to the download right here! Don’t forget to grab a fidget spinner too! 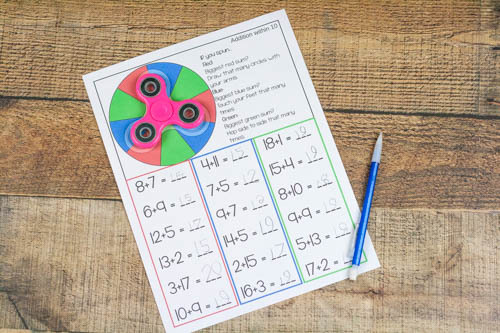 So the basic idea is the same – spin the spinner and complete as many problems as possible. 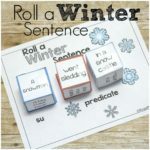 But my kids aren’t kids that feel challenged by timers. Actually, timers stress them out so much they aren’t worth it. They would end up doing less problems. I had to distract them from the idea of the spinner timing them. When the spinner stops, you look at where the tip ended up. They should all point to the same color (if not, designate one side to be the ‘picker’ side with a little piece of tape or an arrow). Depending on what color you get, you’ll do different things. On this page if you spin red then you have to find the biggest sum in the red column. Then you’d do that many arm circles. So these math problems incorporate a bit of movement into the math day. 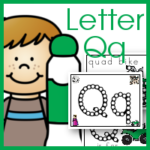 These pages are meant to be a fun way to practice some math facts. 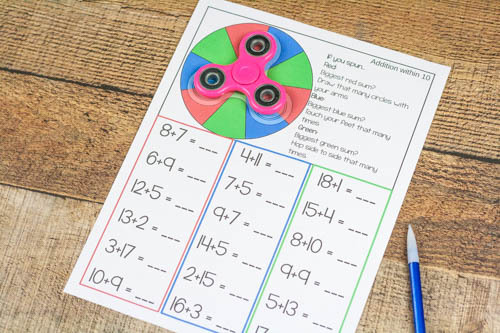 Give them a fidget spinner and a pencil and let them go for it! 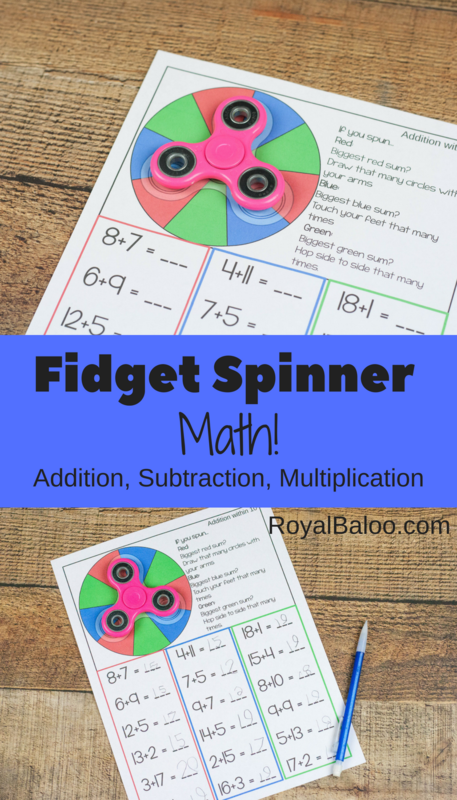 Get the Fidget Spinner Math here!